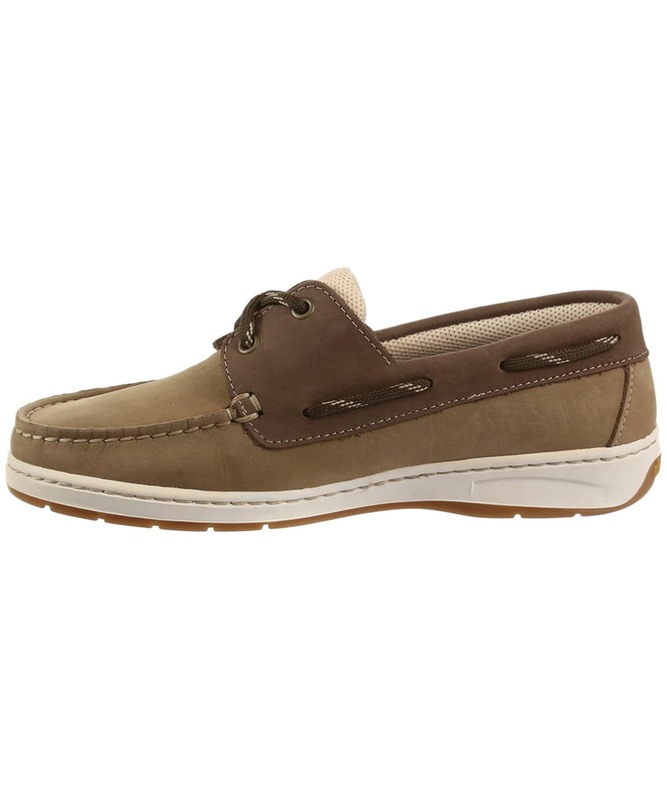 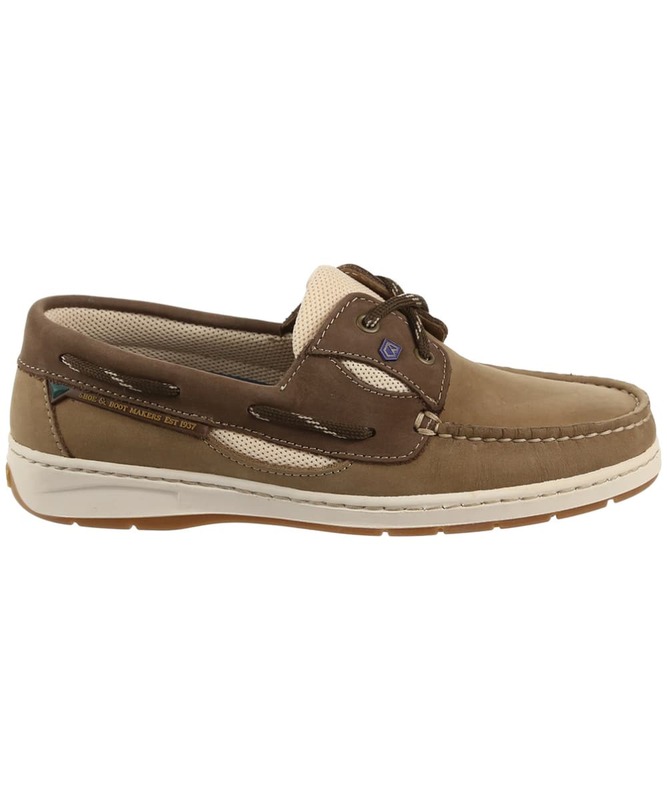 A wardrobe essential for any stylish lady, the Dubarry Crete Moccasins are perfect for when the weather gets warmer. 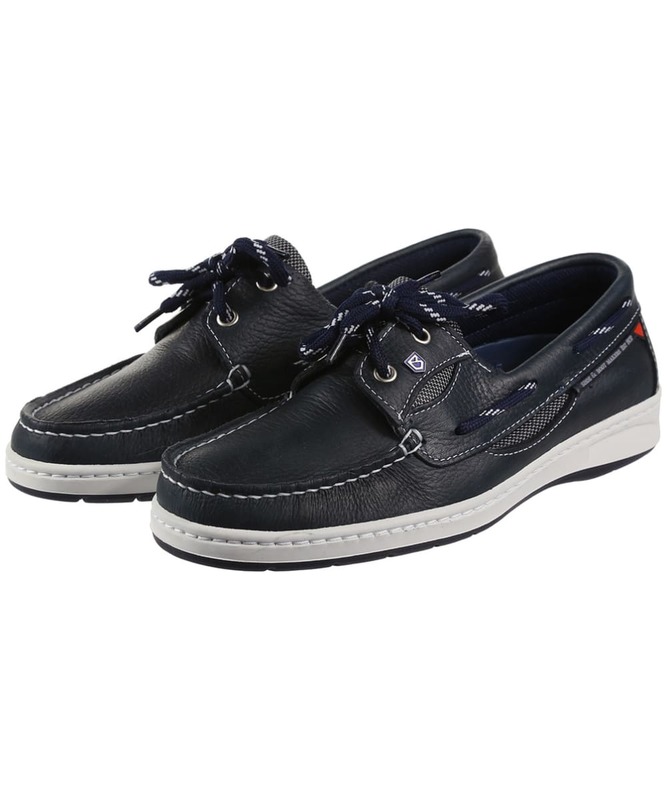 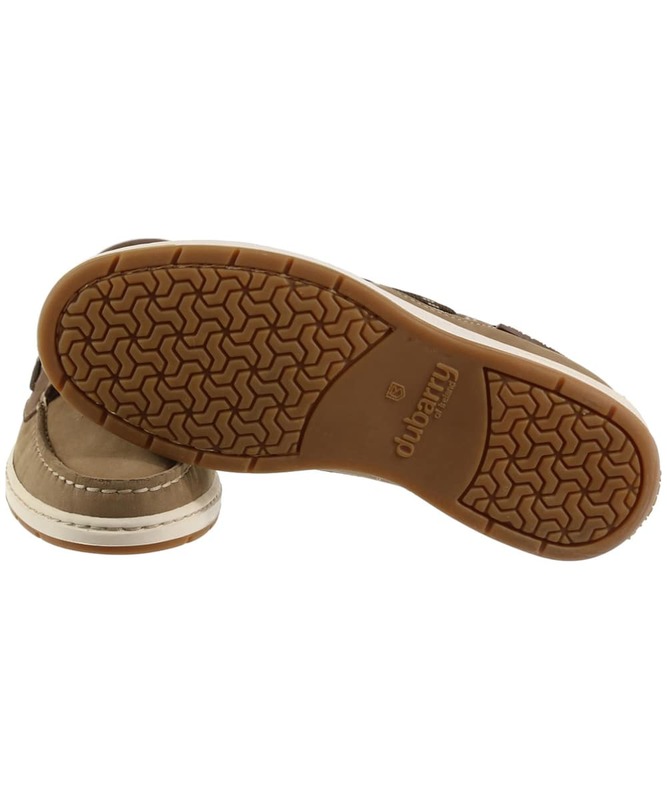 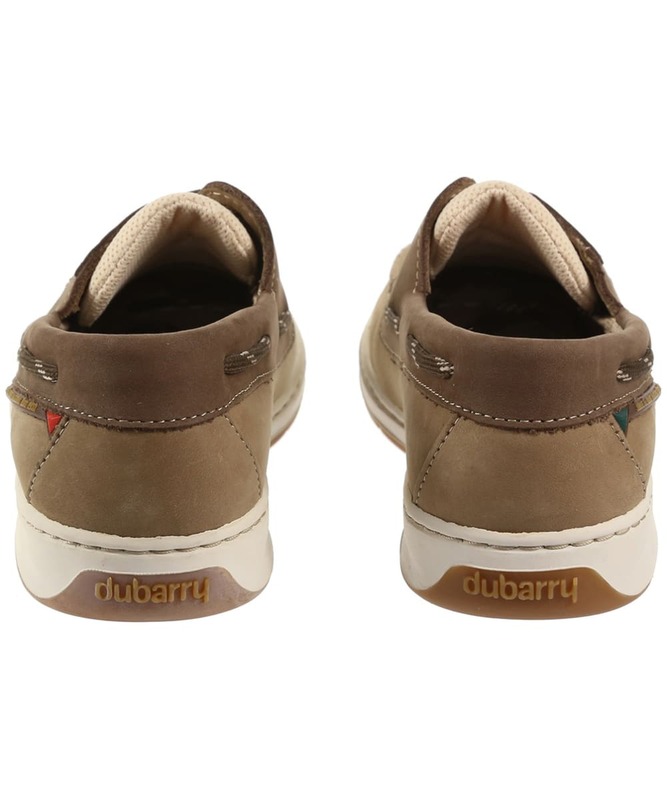 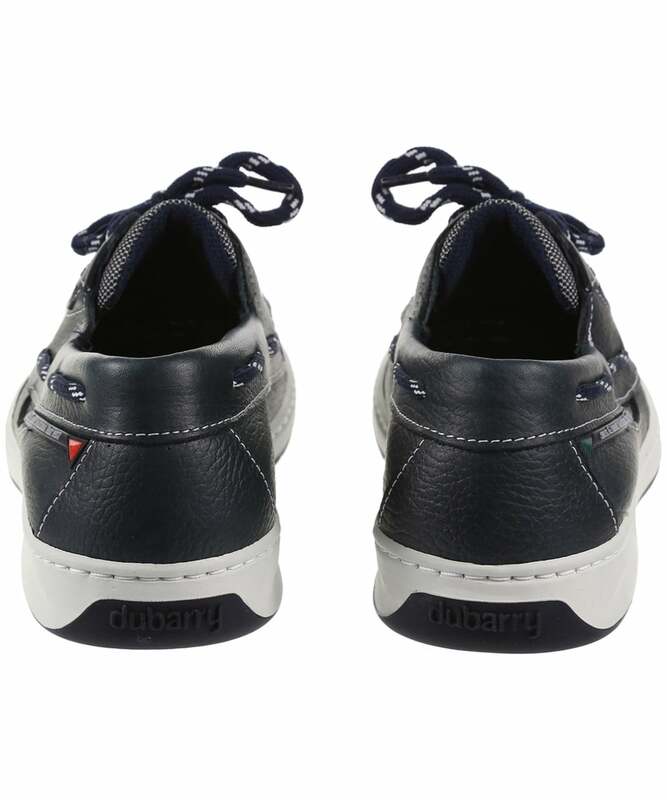 Crafted from high quality DryFast-DrySoft™ water resistant nubuck leather and fabric, you can be sure that your feet will be dry whether you are out at sea or strolling through the countryside on a summer's day! 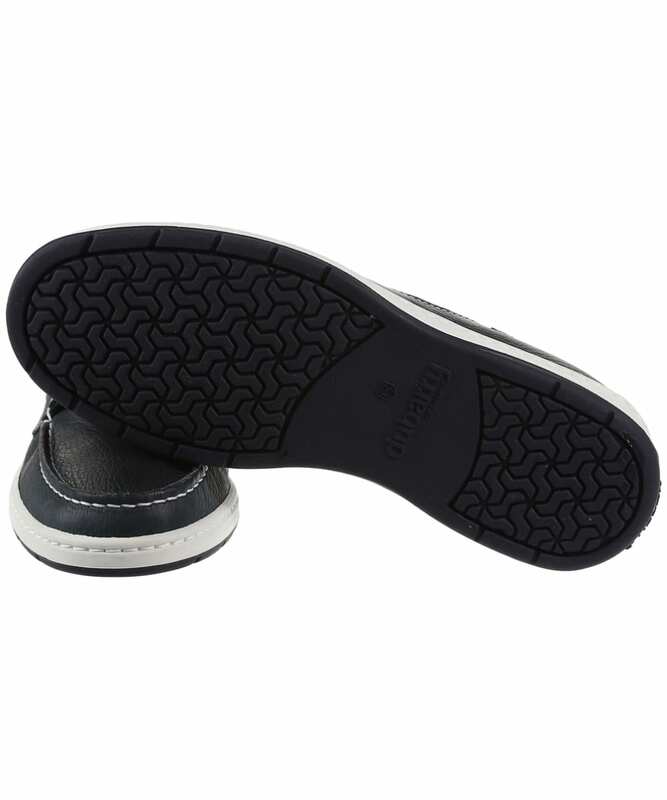 Designed with comfort in mind, the Moccasins feature a concealed EVA heel piece, as well as a sock pad, to offer the upmost comfort by absorbing shock to reduce foot fatigue, with the specially constructed women's bi colour cup sole and NonSlip-NonMarking™ outsole providing a flexible, durable feel that will keep your feet secure even on those slippery surfaces. 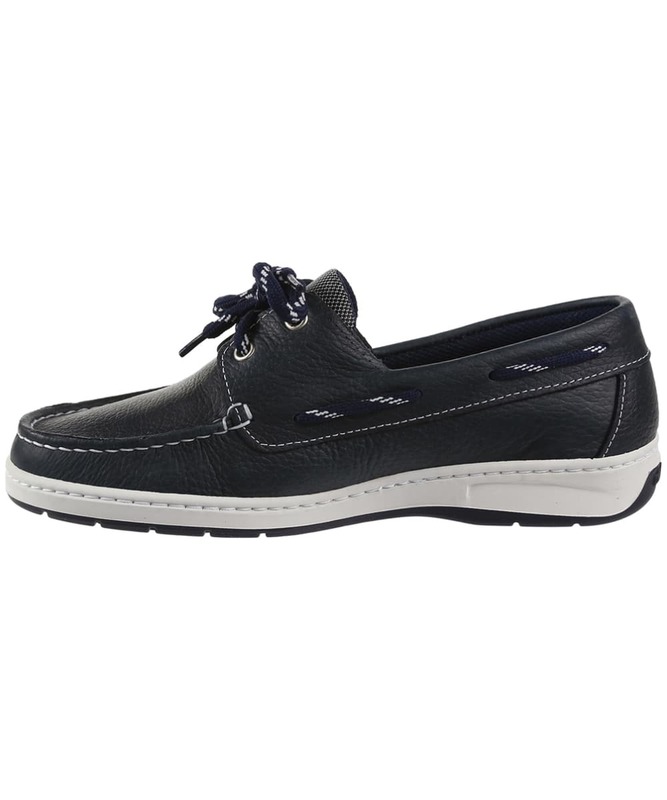 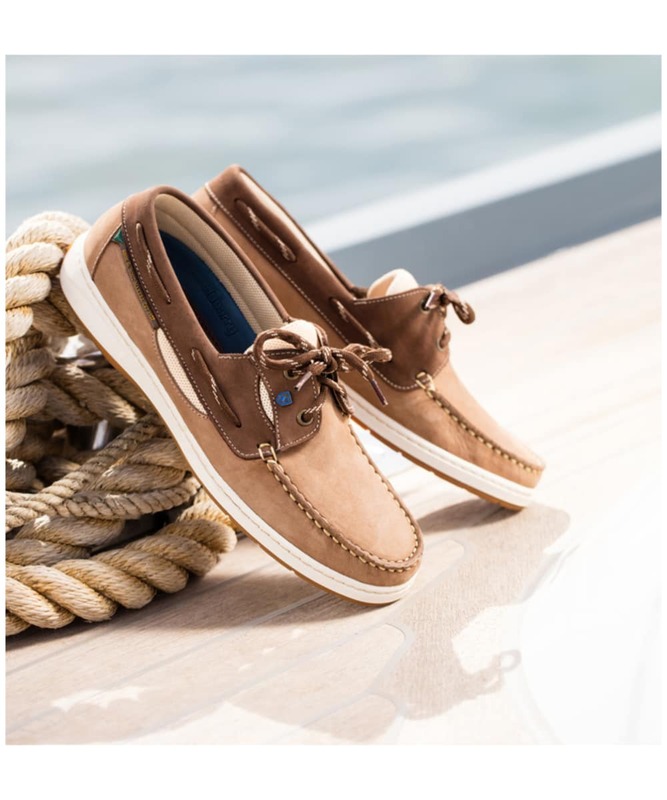 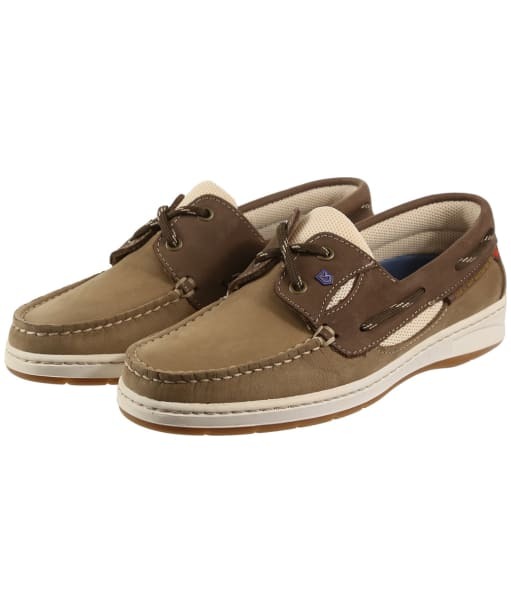 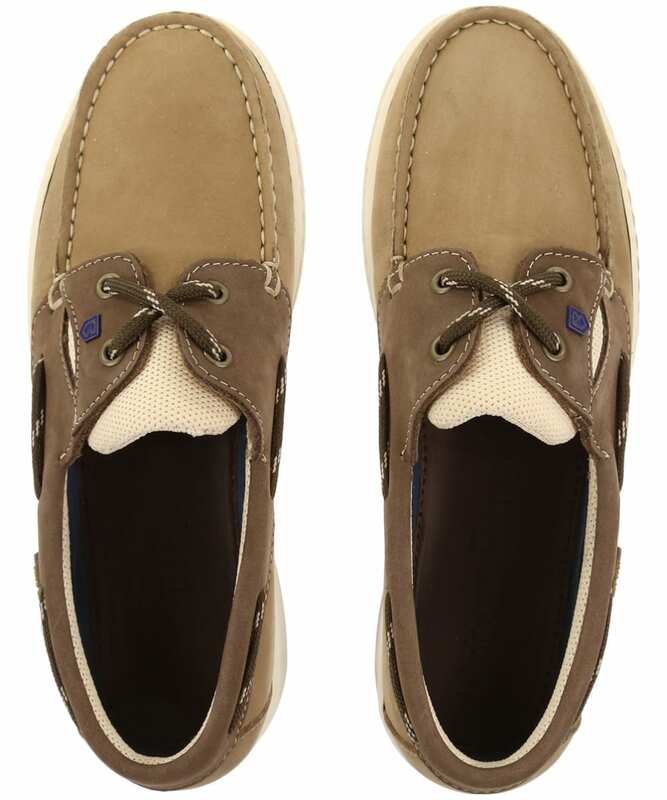 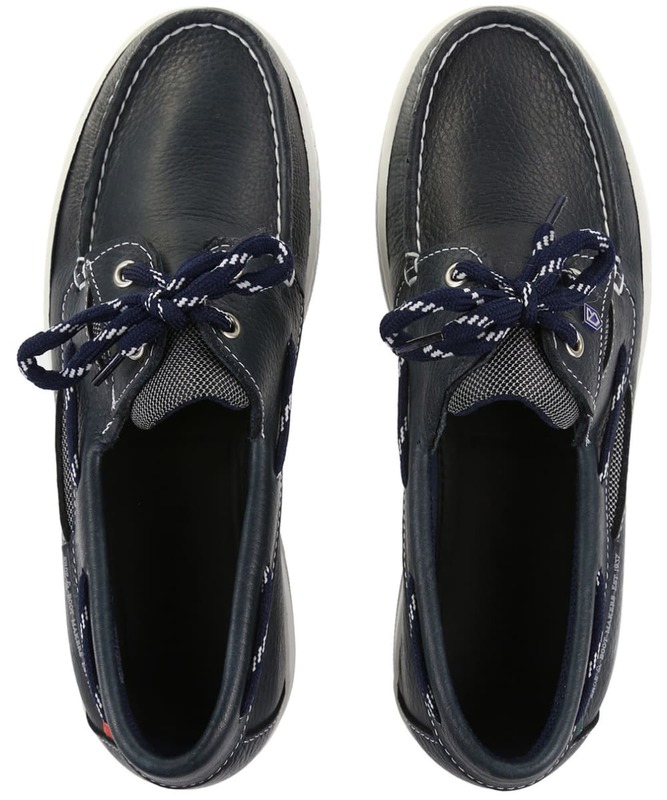 For that added touch of style, the Crete Moccasins have fabric lace detailing; classic Dubarry Port and Starboard flash details and are finished with Dubarry heritage trim for that mark of quality excellence.